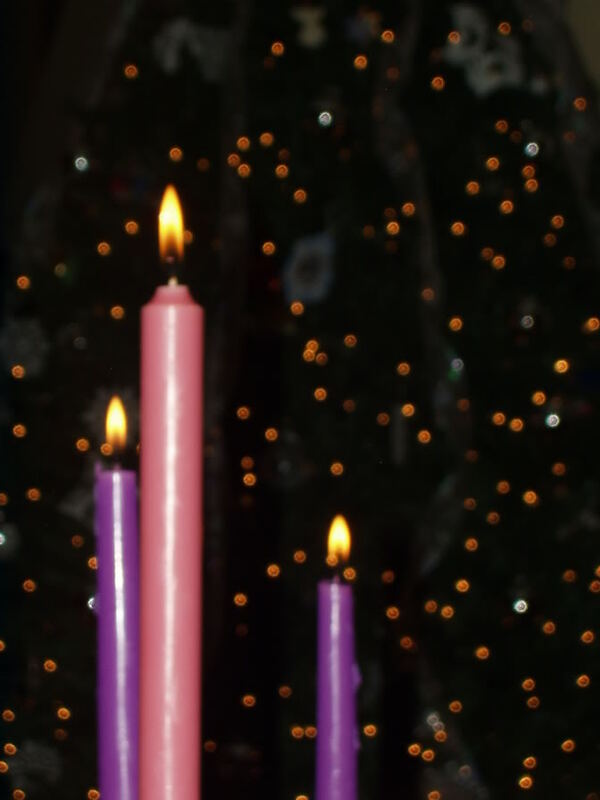 There are five candles in an Advent wreath. The first four symbolize — in order — Hope, the Way of Christ, Joy and Peace. 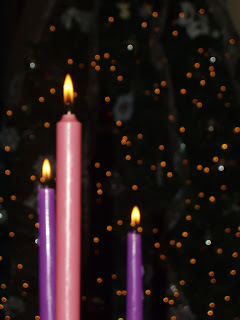 The first, second and fourth candles are traditionally purple and the third candle, is traditionally pink. The fifth candle, call the “Christ candle,” is white and is placed at the center of the wreath and is lit on either Christmas Eve or Christmas Day, depending on the congregation.